As educated Miami car accident lawyer at Shamis & Gentile, P.A. we know that driving while distracted can lead to serious injuries and even death. The last year for which relevant data is available is 2012, and in that year 3,328 Americans were killed in distracted driving accidents with tens of thousands of more left injured. Once you are in the driver seat and behind the wheel of a car on a public street or highway, you’re not only accountable for your own safety, but also for the others with whom you share the road, such as pedestrians, bicyclists, motorcyclists and other automobile drivers. Though all of the activities listed above distract a person’s attention away from their primary task of driving, texting requires cognitive, visual and manual attention from the driver, consequently making it by far the most dangerous form of distracted driving. Thus, all activities mentioned distract driving and endanger the driver, the car’s other occupants, and everyone else on the road. 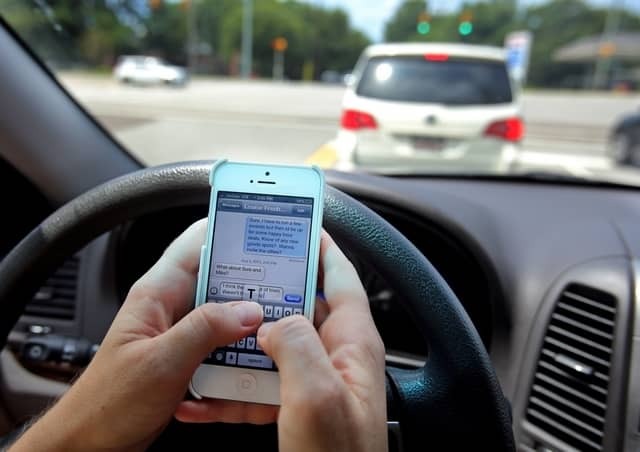 Today, young adults spend a ton of time texting; so it shouldn’t come as much of a surprise 27 percent of the distracted drivers in all fatal crashes are in their 20’s, according to the government website, www.Distraction.gov. What might alarm you is that at any given time in the United States, roughly 660,000 drivers are using cell phones or other electronic devices while driving. Unlike other rates of dangerous activities across the country, this distracted driving statistic has stayed consistent since 2010. A lot of people think that one text or one glance down at their phone while driving is perfectly harmless; however, simple math proves proves that they are far from the truth. When reading a text, research has shown the average person will spend 5 seconds looking away from the road. Lets say you’re moving at a speed of 55 mph (which is lower than many highway speed limits in Florida) for just 5 seconds, in that time your car will have traveled over 300 feet all while you were looking down at your phone. There’s a lot that can go wrong in 5 seconds over a stretch of 300 feet. In fact, you become 23x more likely to get into an accident than you would be if you weren’t texting. If you have ever been injured in an automobile accident due to someone who was not paying attention to the road, please contact us to discuss your legal options. To schedule a free consultation, please call Shamis & Gentile, P.A. at 305-479-2299 or email us at ashamis@sflinjuryattorneys.com. We look forward to assisting you!